Communication Assistant Secretary Mocha Uson was requested to show the proposed federal chart pushed by the administration in the midst of reports that Uson was being tapped to help in the campaign. This request was made by Senator Nancy Binay. Senator Francis Pangilinan, Senate council on sacred constitutional amendments and revision of codes chairman will also be asked to request Mocha Uson to the ensuing hearings on the proposed Charter change. “Siguro mas maganda kung mai-invite ni Sen. Kiko si Asec. 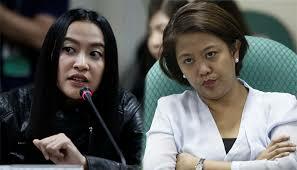 Mocha as one of the resource persons sa kanyang committee para mag-present sa Senado,” Binay said in a press statement. “Being the designated messenger, we also wanted to hear how she would articulate or interpret the salient points of the proposed federal charter and explain to the people how a shift in the form of government could move the country forward. 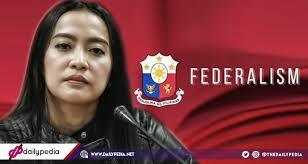 Dagdag na rin ang kanyang iba pang concept or idea sa information campaign using social media,” she said. Nancy said that it is best that Mocha present to the Senate the substance of her crusade on Federalism and the arrangement to change the 1987 Constitution. She also said she needed to know whether what Mocha would enlighten people in general regarding federalism will be a similar idea of federalism being exhibited before the Senate. “Because you know, baka umiikot sila, tapos yung version pala na nilalatag nila sa ibaba e malayo doon sa version na pinag-uusapan namin dito sa Senado… Maganda, maririnig na namin kung ano yung ilalatag at ide-disseminate na federalism sa ibaba,” she said. 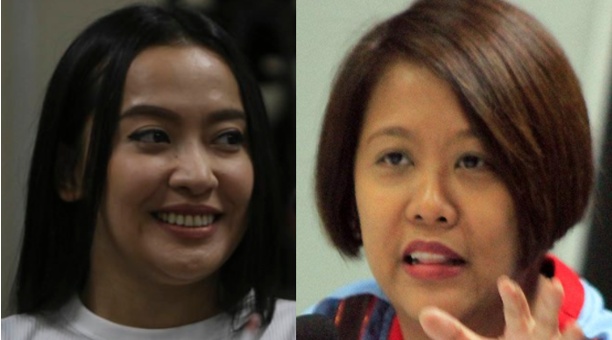 But according to Consultative Committee spokesperson Mocha “would help increase awareness” about the federal form of government, in the event that she can expound on it in her daily newspaper column and her famous blog, which is now has more than five million followers on social media. Nancy also said that how the messenger expresses the message and the clarity and knowledge about the subject is two important things. “It is also a matter of providing the people of options, or an informed choice for them to genuinely know what's good and bad about changing the form of government. Kailangan ng bawat Pilipino na maintindihan at maunawaan kung kailangan nga ba federalismo. Kailangan ay mas palalimin at palawigin pa ang debate tungkol dito,” she said.